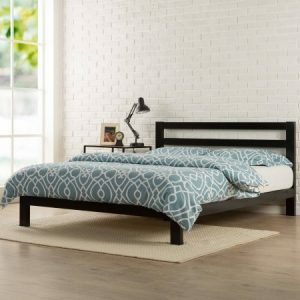 Walmart has a Zinus Modern Studio 10" Metal Platform Bed Sale, Twin starting from $105.00 (reg. $144) with Free Shipping or free pick-up. The steel framed Modern Studio PlatformBed with Headboard by Zinus features wooden slats that provide strong support for your memory foam, latex or spring mattress. Low profile 10 inch frame height with 7 inches of clearance under the frame for plenty of under bed storage space.